After a heavy late summer rain, Hayden Falls in Dublin, Ohio was flowing full strength. 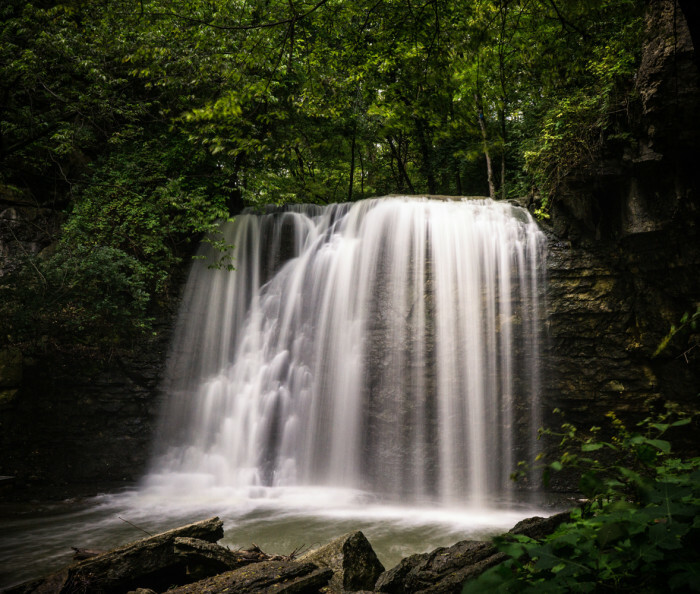 Hayden Falls is a single large, 35 ft (11m), waterfall tucked into a gorge in the middle of a Columbus suburb. It’s easy to access thanks to stairs, a boardwalk and a viewing platform constructed by the city parks department. In early September, 2014 everything was still lush and green. This shot was taken with a ND400 filter and a 2 second exposure.